Nothing is more frustrating than dealing with a wet or flooded basement. Wet or moist basements and crawl spaces are sources of high humidity, which can produce surface condensation, mildew and fungi, musty odors, and an unhealthful environment for its occupants. Such continuous moisture can cause deterioration of the foundation mortar, floor joists, beams, supports, sub flooring, insulation, and electrical-mechanical systems. Prolonged water around the footer and foundation wall can soften the soil and weaken its bearing capacity, increasing the possibility of foundation wall settlement and cracking. Serious seepage under the foundation footer may erode soil away and cause the wall to drop or crack into a V-shaped pattern. Excessive moisture can eventually penetrate or wick into the sub flooring and buckle the flooring or cause warping of the flooring, making doors and closets difficult to open or close. 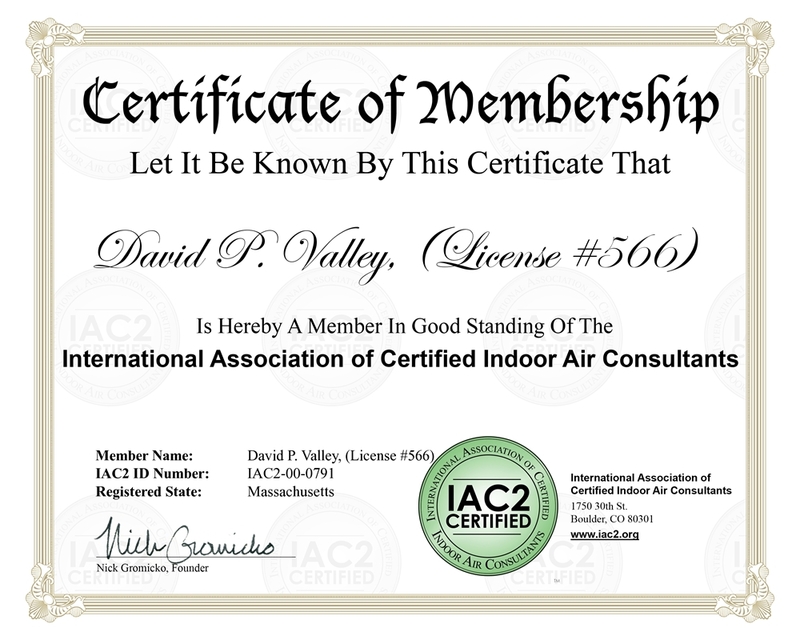 Since crawl space or basement dampness always moves toward the drier upstairs areas, higher humidity will result in costlier heating and air conditioning bills. In the case of crawl spaces, if the under flooring insulation collects moisture, or sags from excessive moisture, the heating and air conditioning costs are driven even higher. Finally, wet basements and crawl spaces reduce the value of the house, at least by the amount that would be required to repair the damage and to eliminate the initial cause of the problem. Some homeowners (or Sellers) are reluctant to discuss or admit their water problem; for fear that the publicity of an actual or even a perceived problem would reduce the value of their real estate investment. Homeowner insurance that fully covers basement flooding damage is an important means of financial protection to homeowners. Coverage for wet basements varies from state to state and company to company. But typically, the damage from water seeping in from the outside or backing up from the sewer is not covered by standard homeowner policies. In some cases, special coverage can be purchased to cover these risks, but it is usually very limited in the types of personal property it covers and amounts of coverage that may be purchased. It is up to each homeowner to know how to prevent water damage before it starts. This can be done through proper home maintenance and installation of systems intended to remove or divert water before it is even allowed to get anywhere near the basement cavity. Trust me, I live in a flood zone and I do not get a drop of water from those three or four day rains. I simply purchased my flood zone home, analyzed the situation and properly corrected the existing issues. I performed thousands of home inspections and observed hundreds of flooded basements, so I enjoy showing homeowners how to alleviate the moisture accumulation in and around their home. Most wet basements or crawl spaces are caused by surface water accumulating around your home, which is not adequately drained away from the exterior foundation wall. This water accumulation will simply cause puddling next to your home and eventually this saturated area will have nowhere else to drain to except down into your basement or crawl space. -Roof water, if no gutters and downspouts are presently installed to convey roof water away from your home. -Roof water, if your gutters leak at the seams or overflow because of clogging from leaves and bird nests. -Roof water, if the downspouts (leaders) are clogged or do not have sufficient means at their outlets to drain water out and away from the foundation wall. Frequently, a downspout ends right at the corner of the house without an elbow and a 4-6 foot extension to carry roof water away from the foundation, leaving roof water to concentrate at that outlet point and seep right into the soil next to the foundation wall. A typical 2000 square foot roof can produce almost 1250 gallons of water during just 1 inch of rainfall. If the rainfall is steady and prolonged for days, the opportunity for this roof water to saturate into the ground next to the foundation wall is high. -Excessive watering of flower beds and shrubbery around the foundation wall. Once the upper soil layer or mulch bed air spaces are filled with water, the excess water either runs off or seeps into the ground next to the wall. Prolonged and excessive watering can contribute to a large amount of water accumulation next to basements walls. -Rainwater runoff from any adjacent lawn areas that are getting saturated, improperly sloped driveway or walkway areas if the landscaping forces water to drain toward the house instead of away. If surface runoff is directed toward your foundation wall, this water will pond and eventually soak into the soil, thus becoming a potential source of basement or crawl space water. Downspout splash pads are not very effective if they drain onto a backward-draining slope toward the foundation wall. I consider these splash pads useless. -Subsurface or excessive groundwater may be intercepted or dammed up by a basement or foundation wall. Houses which are built next to a down slope on or at the base of hillsides are particularly vulnerable since there is greater opportunity for surface water to saturate the hillside soil and then flow heavily downhill and become groundwater next to your foundation. Foundation walls act like dams and can intercept and trap this subsurface water, causing pressure build-up on the outside and forcing water through joints and cracks in basement walls or cause seepage under the foundation footer leading to a high water table that will seep up through your concrete floor. -Nearby springs may have been filled in or covered up by the developer. Unless the springs were properly drained away from the lot or subdivision, such water will eventually seep into the surrounding fill, become a pool of groundwater, and eventually get deeper and cause the accumulating water to spread out onto neighboring properties and force itself laterally and upwardly into basements and crawl spaces. -Nearby creeks may overflow during a heavy storm runoff and either directly flood basement or crawl space areas, or contribute to accumulating groundwater, which may become sufficiently high enough to cause seepage into the basement or crawl space area. Homeowners may not experience the effects of groundwater seepage or overflowing creeks for months or years after purchasing a house because of drought or infrequent out-of-bank flooding. However, when such conditions do occur, they may come suddenly without warning and cause serious problems after the builders warranty period has already expired. -Improperly installed, clogged, collapsed, or leaky drains may not allow downspout water or foundation wall water to escape. Perimeter, footer, or foundation drains are installed around the exterior of a house below the basement floor to intercept and dispose of subsurface water to eliminate groundwater build-up and seepage under the house. If these drains are improperly installed or become clogged with silt or roots, they will not operate as intended. Sometimes an otherwise good perimeter drain gets covered up at its end(s) during the final backfilling or landscaping stages of construction and the intercepted water has no place to go but to build up behind the foundation wall and eventually seep into the basement or crawl space. -Underground drains leading away from downspouts may not have sufficient slope to carry water away; may empty into the adjacent lawn and get covered with topsoil; may become crushed during landscaping or become pinched at their outlets; or may lead to an area which ponds and backs up accumulating water. The end result in all these cases is leakage or overflowing at the bottom of the downspout and water penetrating the foundation area. -Soil continuously draws water up from subsurface groundwater sources in a crawl space like a blotter by a mechanism known as capillary attraction. The finer the soil (e.g. clays), the more aggressive the capillary pumping action. As the water rises to the surface, it evaporates into the crawl space. Such ground moisture can be a significant source of dampness and humidity under a house, even without standing water. The presence of capillary water is often indicated by a whitish residue, left on the ground surface of the crawl spaces, resulting from evaporation of water containing minerals and salts. Lack of a moisture barrier, such as plastic sheet, will allow this capillary action and evaporation to contribute almost unlimited moisture sources to crawl space areas. If you have water running into your basement, the first thing to do is to see if it occurs immediately after a rain. If this is the case, it is probably due to surface water puddling against the outside of the basement walls. This is the most common source of basement water problems and one that you may be able to fix yourself. First of all, you need to locate the source of entry. I suggest you look for ways exterior run-off water can enter into this area in the basement. Make sure downspout runoff isn't pooling or percolating into soil near the foundation during a storm, and that gutter and downspout seams aren't leaking. Gutters should be catching the rain and channeling it to the downspouts. Make sure there is no debris blocking the inlet of the downspout and preventing water from escaping down the spout. The downspouts should have extensions so that they discharge the water at least five feet away from the house. Check the ground outside your foundation. Unfortunately, the earth that was used to back fill around most foundations settles over the years so it is extremely common for earth near the house to be lower than the rest of the yard. All grading should slope away from your house at least 1 inch vertically for every 1 foot of horizontal travel. If earth is already near the top of the foundation or if your lot slopes toward the house on one side, you may need to use another approach. In this case, establish a swale or shallow ditch on that side of the house to intercept the surface water and carry it around the house and down slope toward the street. Place the drainage path as far from the house as possible. If you have enough space, the ditch can easily be made less noticeable by blending it into the lawn. If you have pavement immediately next to the house, be sure it slopes away. If a driveway or sidewalk is either extremely flat or slopes toward the house you have several choices. You can replace the pavement and correct the grade in the process. If it is concrete, you can have it mud jacked (raised), which usually costs about half as much as replacing the concrete. You can also add an additional layer of pavement next to the house to reverse the slope. If you do the latter, you will also need to caulk joints and cracks in the drive or sidewalk so that water which pools on the surface doesn't penetrate and end up in the basement. Window wells are another common source of basement water problems. The window well itself should be much deeper than the window sill to provide a place to catch rain that might fall into it. The top rim should be 3 to 4" above grade with the ground sloping away so that water is not channeled into the window well. If the window well is on a side of the house where wind drives rain or ice against the house, installing a plastic bubble cover over the well will help keep rain, leaves and snow out. In my humble opinion, "water proofing" systems, especially those on the exterior of a building should be used only as a last resort. Many water proofing systems involve water collection and discharge and are very costly. If you've tried all my recommendations and water is still gushing into your basement, and you can not resolve this, I recommend that you call in a professional. Otherwise, consider an interior gutter. This dam-and-channel system goes around the entire interior perimeter of your basement floor and collects the water that flows down or through the foundation walls or onto the floor, routing it to a floor drainage system and a sump pump. If you decide to go this route, I highly recommend contacting a Massachusetts based company called B-Dry at 1-888-400-2379 or browse their website HERE. I've seen many of their systems actively in place and they've always been in good working order. 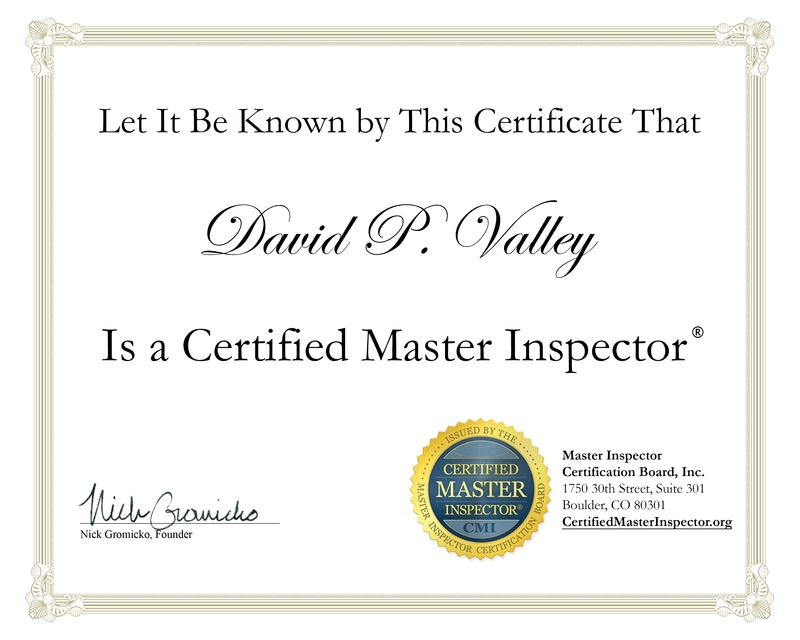 I want to say THANK YOU for such a thorough and complete home inspection. I am glad I was referred to you and will be passing on that referral to anyone I know that needs a home inspector! THANK YOU!! !